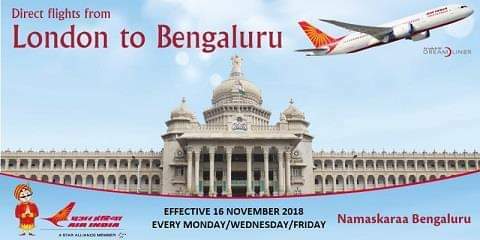 Air India first flight to Bengaluru from London is schedule to depart tomorrow, 16th November @1PM! There is a celebration in mark of first departure planned between 10AM to 12PM tomorrow (16th November) at Terminal 2 – level 5 , zone D entrance. Kindly attend and support.